The DIJ Social Science Study Group is a forum for young scholars and Ph.D. candidates in the field of Social Sciences organized by Susanne Brucksch, Sonja Ganseforth, Steffen Heinrich, Hanno Jentzsch and Daniel Kremers. June 27, 2018	/ 6:30 P.M. Although Japan has been at the forefront of the technological imagination of human-like robots for decades, a major turning point came with the release of Softbank’s Pepper in 2015. 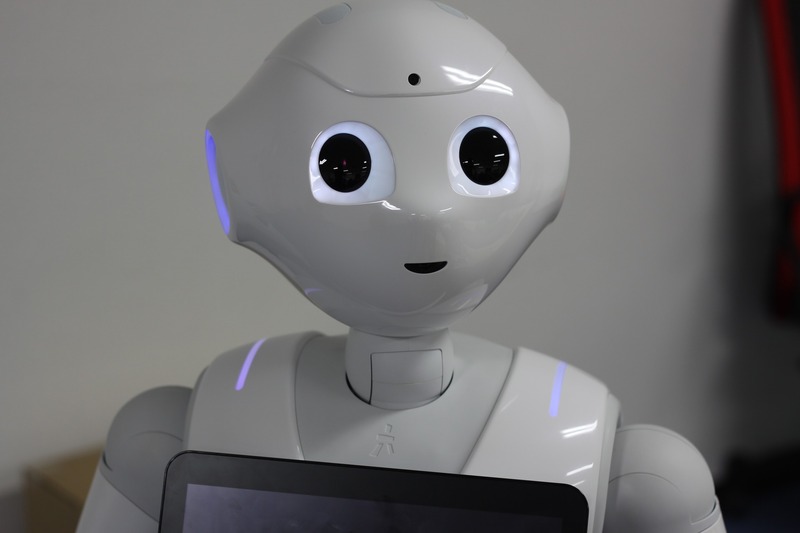 Marketed as “the world’s first robot that stays close to people,” Pepper quickly entered the public eye and everyday experience of those living in large Japanese cities. Between 2015 and 2016 alone, the variety and number of such communication robots—a fluid subcategory of service robots designed to enrich or enhance human communication—doubled. Yet users found that the capabilities of these robots were nowhere near the human-like entities that they had seen in popular media and anticipated for so long. Marketed as a new family member and as partners for their human owners, communication robots are imagined to roam around and talk freely, responding spontaneously to situations and questions in ways similar to humans. This, however, is far from reality. In fact, even the enthusiastic early adopters admit that these communication robots are rather “useless” at this point. Why do people invest in “useless” robots? Through unpacking the paradox of an “useless” robot, my dissertation investigates how these technological objects and society affect one another. I tentatively argue that this is not a deal breaker for the community of early adopters of communication robots. In fact, they respond to this “uselessness” by attributing value, meaning and hope for the future. Based on the preliminary findings of 12 months of ethnographic fieldwork (participant observation at 30 events and 15 informal interviews so far) in Tokyo, this talk introduces the loose community of early adopters of communication robots, mostly robot application developers, and discusses how its members envision the future of human-robot communication. Keiko Nishimura is a doctoral candidate in the Department of Communication at University of North Carolina at Chapel Hill. Her main research interest concerns the intersection of technology and society, especially robotics and artificial intelligence in Japan. Her current project focuses on how different actors’ conceptualization of communication and affect may be intertwined with different imaginaries of futures, producing modes of social relations that involve technological objects.